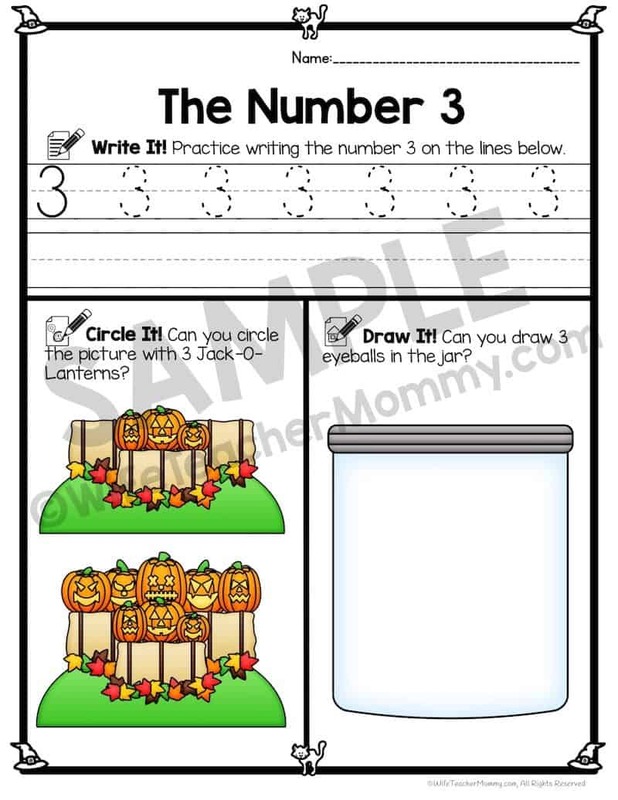 These Halloween counting worksheets are perfect for students who are practicing their numbers! The students will trace and write the numbers, count the number by circling the correct Halloween picture, and follow directions to add the correct number to another Halloween picture. 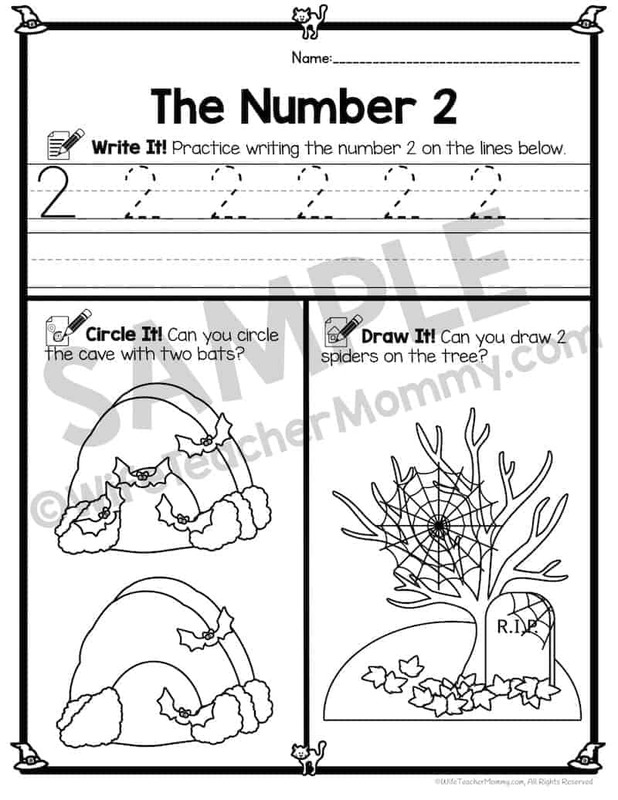 The worksheets work for students working on numbers 0-10 and 0-20, so they are great for differentiation. Black and white AND colored worksheets are included. Perfect for Preschool, Pre-K and Kindergarten teachers and homeschoolers! The Halloween theme makes counting even more fun! 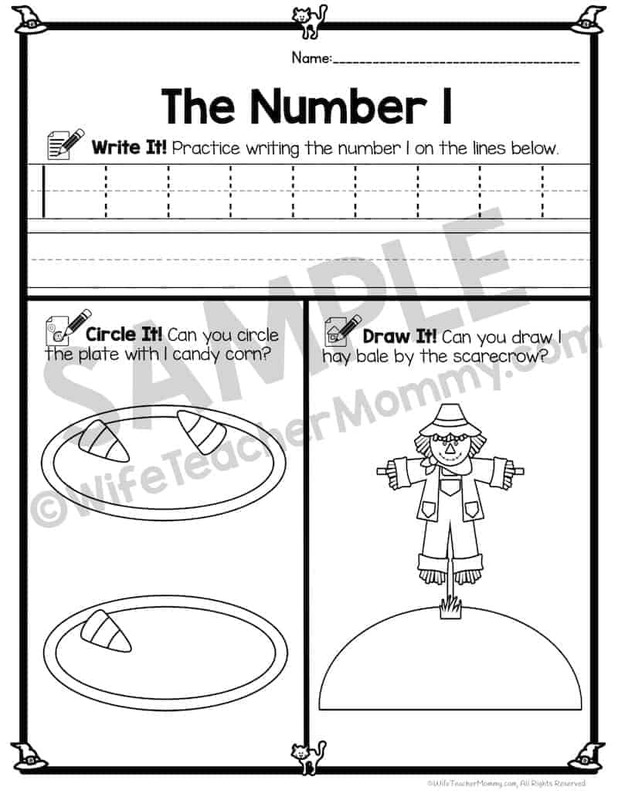 An optional counting and numbers lesson plan is also included. You may follow this if you’d like, or leave it for an easy sub plan lesson. You can also just use the worksheets any way you’d like! These numbers and counting worksheets are perfect for pre-schoolers and Kindergarteners and 1st graders to work on improving their number writing. Ideal for both teachers and parents! 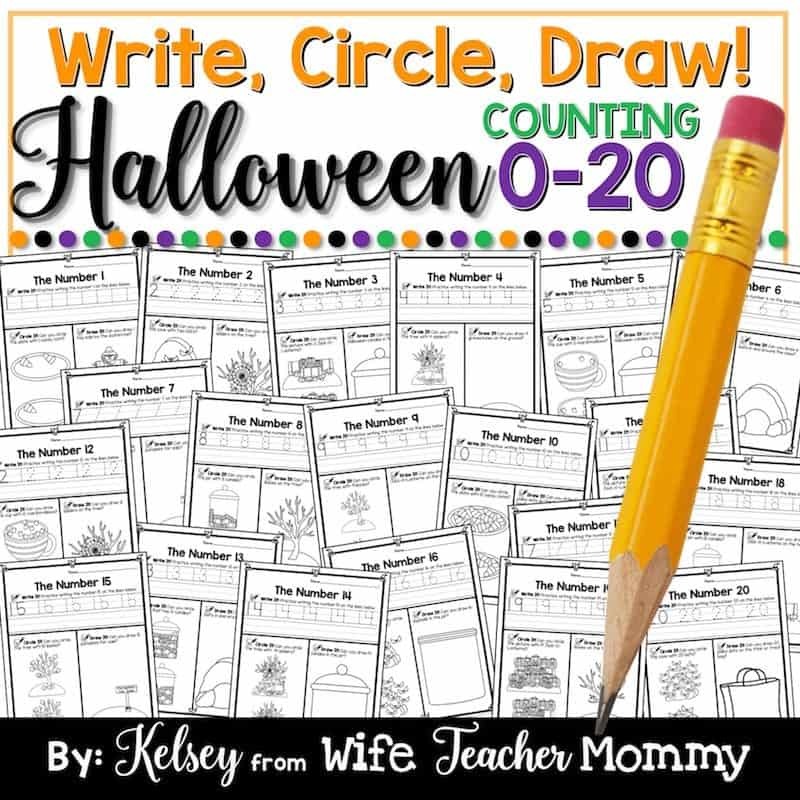 CLICK HERE FOR THE YEAR ROUND NUMBERS WRITE CIRCLE DRAW WORKSHEETS! CLICK HERE FOR THE ALPHABET WRITE CIRCLE DRAW WORKSHEETS! Similar worksheets will be coming soon for colors and shapes as well! They will be perfect to use along with these worksheets. 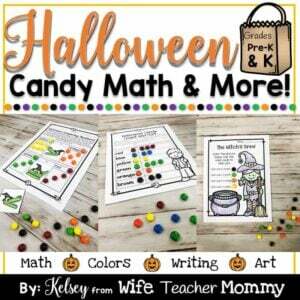 Join my email list to be notified when the rest of the worksheets come out!